This past weekend I coordinated a really fun DIY wedding, kicking off my busy season of events and weddings. People think summer is wedding season, but in the South the most popular time for weddings is actually Fall. 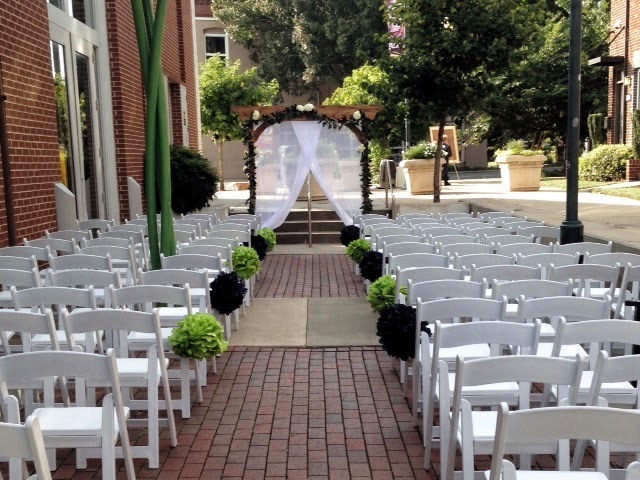 The weather is perfect and the trees are gorgeous, plus most importantly your wedding guests won't melt in the heat! The weather for Liz & Adam's wedding this weekend was simply perfect. Fall in the South - who knew?! Here are my photos, I can't to check out the professional pictures! 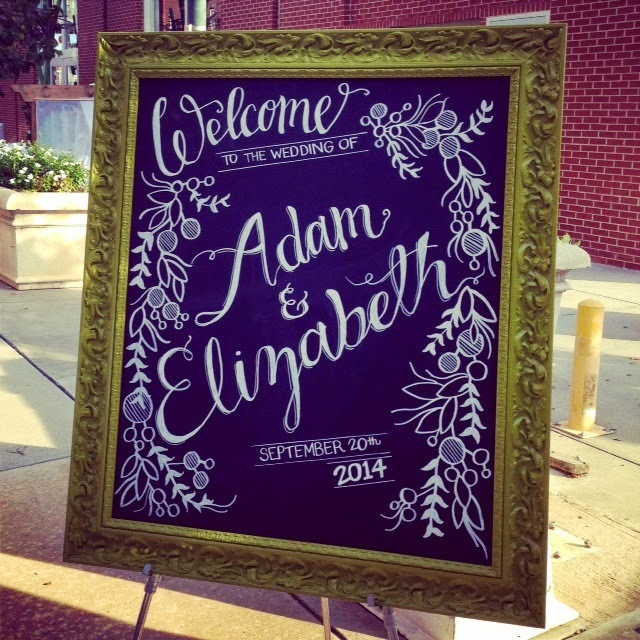 Liz was an art major in college and her artistic touches shone throughout the entire wedding, including drawing all the signage. Isn't she so talented?? The ceremony was outdoors in that perfect weather I was talking about. I loved the poms lining the aisle. 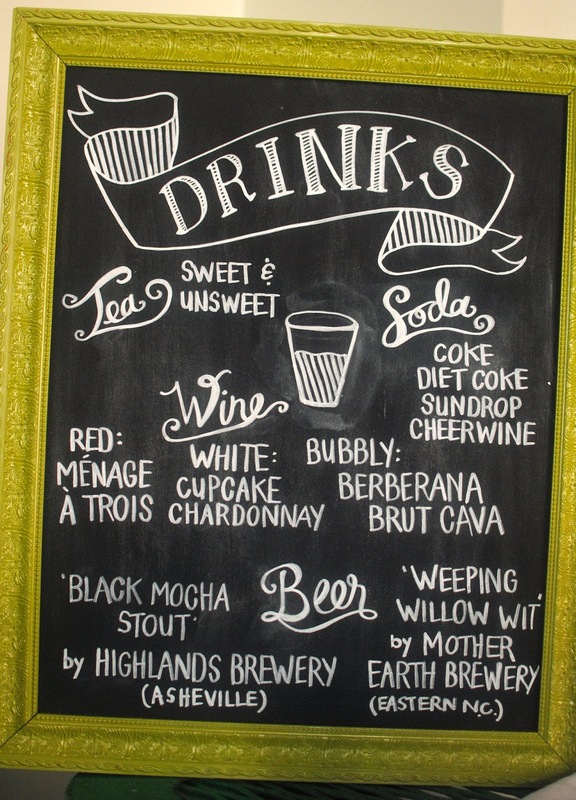 Personal touches were all over this wedding. 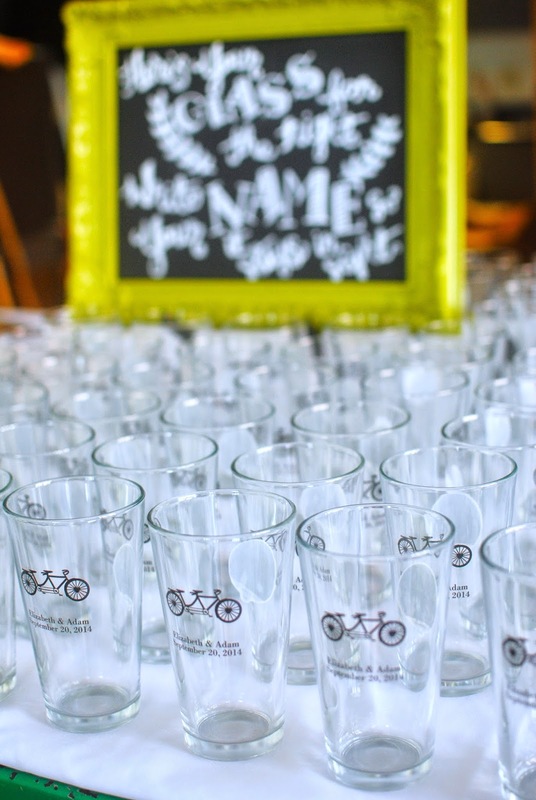 The party favors were personalized pint glasses with tandem bikes. The personalized M&Ms and candies were a big hit, especially with all the flowers girls who scooped them up every chance they got! 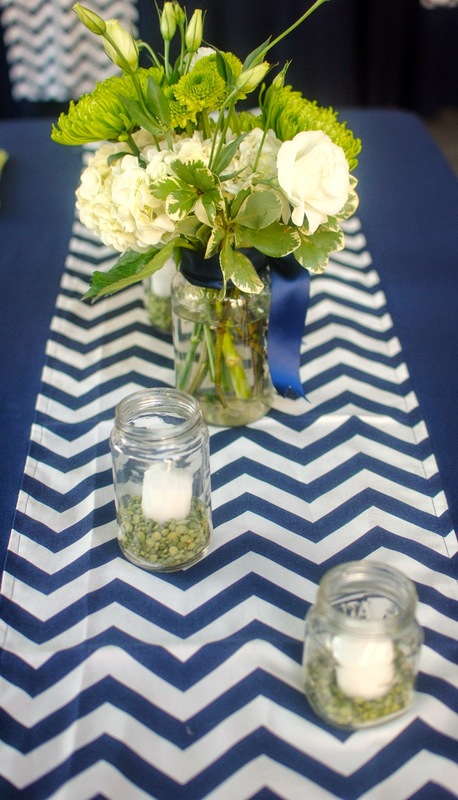 Liz sewed the navy chevron table runners which turned out awesome. 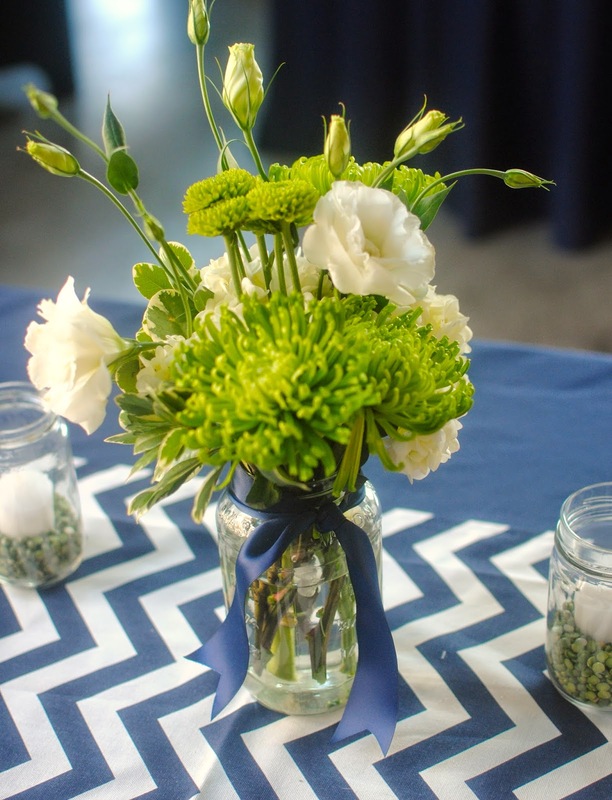 The beautiful green and white flower arrangements were from Willow Branch Flowers. 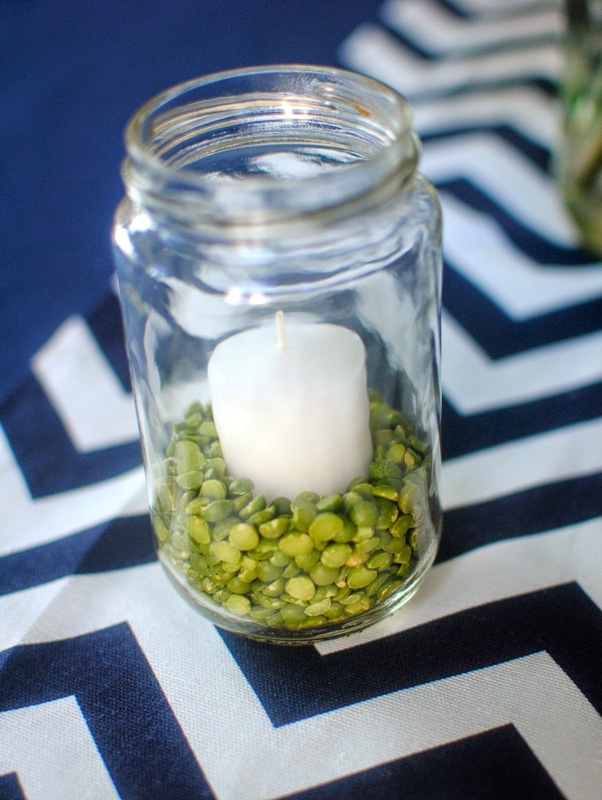 I loved the dried split peas in jars with votives, so creative! See that pennant banner on the Trolley below? 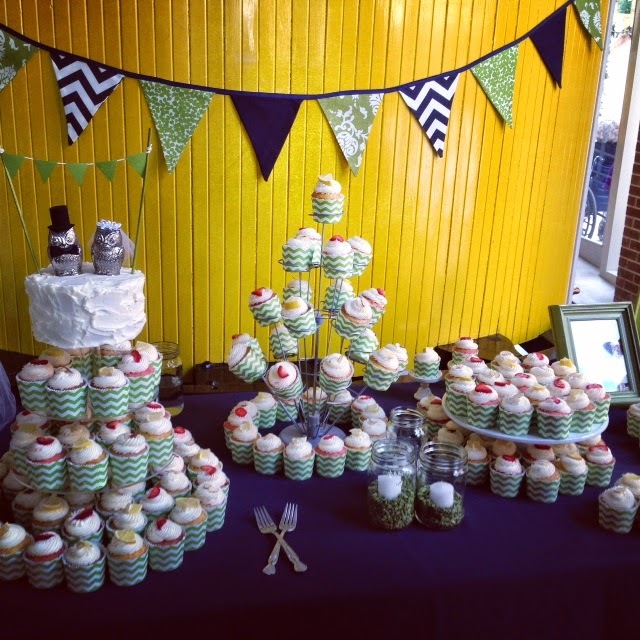 Liz made that too of course :) The cupcake table was adorable, I loved the green and white chevron cupcake holders. Congratulations to the new Mr. and Mrs! This couple was so sweet and easy to work with, I wish them all the happiness in the world. I can't wait to share the professional photos with you! I don't know about you, but it's starting to get cold here and I think today might be my first boot day of the year. Yay! Make it a great week!